​"Proud to Be An American"
Glenn Campbell is just a good ole country boy from Arkansas. He grew up picking cotton in the fields of Delight, Arkansas, and became one of the world’s most beloved country singers of all time. Glenn Travis Campbell was number 7 of 12 children. His family was very poor and all the children helped to pick cotton. In their down time the family would gather and sing songs. This lead to Glenn’s love of music. At the age of 4, his father bought him a $5 Sears and Roebuck guitar; within a few years, Campbell was appearing as a paid act and performing guest spots on local radio stations. Today’s listening example is Campbell’s first solo release, “Turn Around, Look at Me.” Recorded in 1961, it wasn’t really liked too well at the time. However, it caught the attention of musical giant Capitol Records, who hired him as a skilled guitarist. So, you could say, this song launched his career. 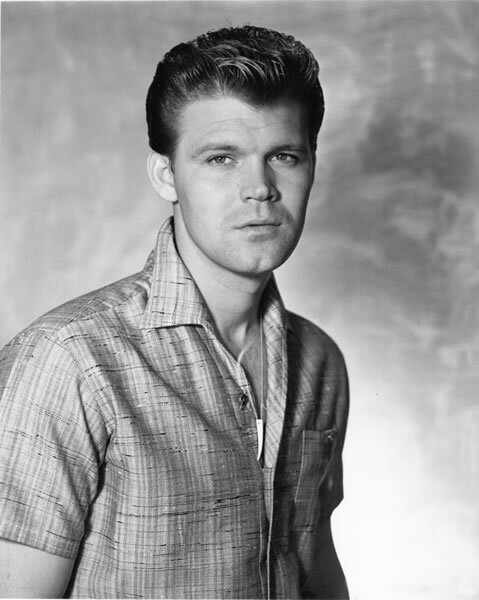 In 1960 Glen Campbell moved to Los Angeles, CA to become a “session” musician. Session musicians are instrumental and vocal performers available to work with others at live performances or recording sessions. Usually they are not permanent members of a musical group and do not become famous. But people “behind the scenes” are as important as people on center stage. Campbell was in great demand as a session musician. 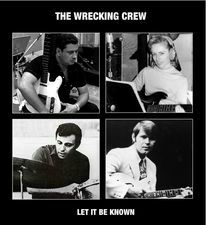 He was part of a group of musicians known as ﻿The Wrecking Crew﻿. Campbell played on recordings by popular artists such as the teen idol ﻿Ricky Nelson﻿, ﻿Nat King Cole﻿, ﻿Merle Haggard﻿, The Monkees and ﻿Elvis Presley﻿. He briefly toured with the famous California group, the Beach Boys. In 1967 Campbell achieved instant success with his first mega-hit “Gentle on My Mind”, a song about memories of a lost love. The next year he won two Grammy Awards: ‘Best Country & Western Recording’, and ‘Best Country & Western Male Vocal Performance’. Glen Campbell made the right choice when he chose “Gentle on My Mind” to record because it launched his career as a solo artist. 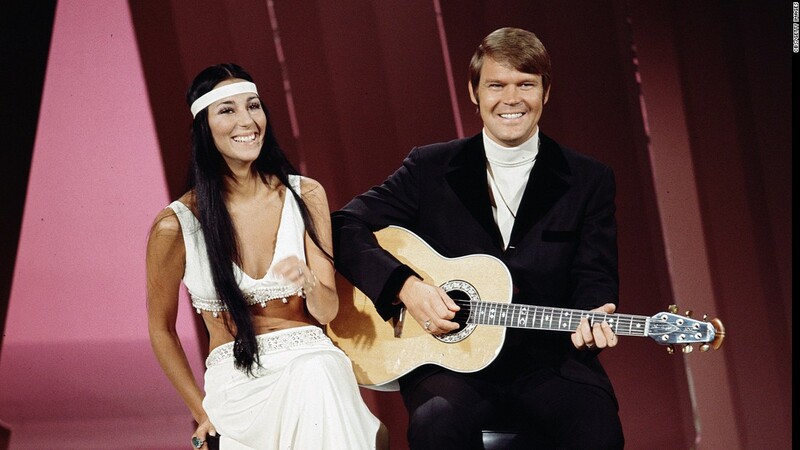 Besides being a singer and performer, Glen Campbell was also a television host and occasional actor. He twice won the award ‘TV Personality of the Year’. 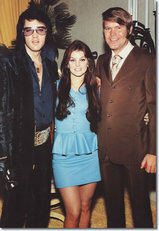 He had his own TV variety shows called The Glen Campbell Goodtime Hour and The Glen Campbell Music Show. The professional connections he had made working as a session musician paid off, and allowed him to host a lot of major country performers on his shows. These shows also gave Campbell the opportunity to help other people. He helped launch the careers of Mel Tillis and ﻿Jerry Reed﻿. He is given credit for giving Alan Jackson his first big break in the industry just by handing a music publisher business card to Jackson’s wife, who was a flight attendant on a plane Campbell was on. Alan Jackson later went on to work for Campbell’s publishing business. Campbell also served as an inspiration to Keith Urban, who cites Campbell as a strong influence on his performing career. Campbell starred with the legendary actor John Wayne in a western movie called True Grit and appeared in a movie with Clint Eastwood called Any Which Way You Can. He sang the title songs for both of these movies. 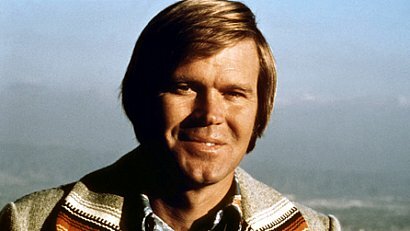 Glen Campbell and his music were featured in several films throughout the ’70s and ’80s, including “Any Which Way You Can” from the movie of the same name, starring Clint Eastwood. But True Grit (1969) with John Wayne stands out as one of his most memorable roles. John Wayne won an Academy Award, while this song, “Someday, Little Girl” earned nominations from the Academy Awards and the Golden Globes. Thursday - Glen Campbell was not a major songwriter himself, but in the late 1960’s he recorded several songs by writer Jimmy Webb that became award winning hits. Have you ever wondered how writers get their ideas for songs? Usually it’s from their everyday experiences in life. Three of Jimmy Webb’s songs were about places in the United States. 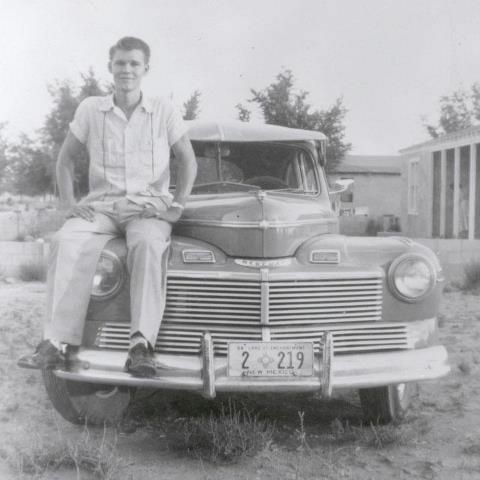 “Wichita Lineman” was inspired when Webb made a long drive through rural Washita County in Oklahoma. He saw a single lineman working on top of a telephone pole, and tried to imagine himself in the man’s place. The song lyrics describe the loneliness of a telephone or electrical lineman as he works throughout the county roads to repair the lines. Sometimes these folks have to work out of town for days or weeks in extreme weather to restore our power. People think the song is about Wichita, Kansas, since Webb changed the word ‘Washita’ to ‘Wichita’ because it sings better. “By the Time I Get to Phoenix” was inspired by Webb’s breakup with his girlfriend in Los Angeles, California, and her disbelief that he had actually left her. It describes her actions back home as he travels from Los Angeles to Phoenix, AZ; then to Albuquerque, NM; then to Oklahoma. The lyrics imply that the drive takes place in one day, but just like in Hollywood movies, things in songs are not always realistic. In the song “Galveston”, a soldier thinks about his hometown on the beach and the girl he left behind as he waits to go into battle. The scene is Galveston Island, TX on the Gulf of Mexico. Webb perceived this song as an “anti-war” song to protest against the Vietnam War, which took place during the 1960’s. Campbell chose to perform it as a more upbeat, patriotic song. 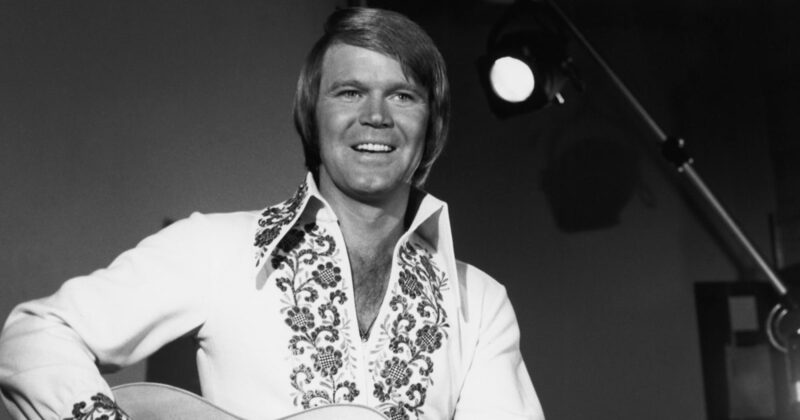 It is important for us to remember that many great musicians have come from Arkansas, and Glen Campbell is one of these. As one of 12 children born into an Arkansas sharecropper’s family, Campbell rose from his humble beginnings to become one of the most influential country artists in America. In 2011, at the age of 75, Campbell announced he had been diagnosed with Alzheimer's disease. Alzheimer’s is a chronic degenerative disease of the nervous system that starts slowly and gets worse over time. The most common symptoms are difficulty in remembering events, names or people, easily getting lost, mood swings, loss of motivation, and behavioral issues. As a person's condition declines they often withdraw from family and society. Glen Campbell was still able to perform some in spite of his condition. Campbell wrote and recorded one last song called “I’m Not Going to Miss You Anymore”. The song deals with the heartbreaking realities of Alzheimer's and the losses that Campbell has faced since he was diagnosed with the disease. It received a 2014 Oscar nomination for ‘Best Original Song’. Campbell went on a final “Goodbye Tour” with three of his children joining him in his backup band. A documentary film called I'll Be Me was released last year that tells about his career and his illness. Campbell has become a patient at a long-term care and treatment facility in Nashville. 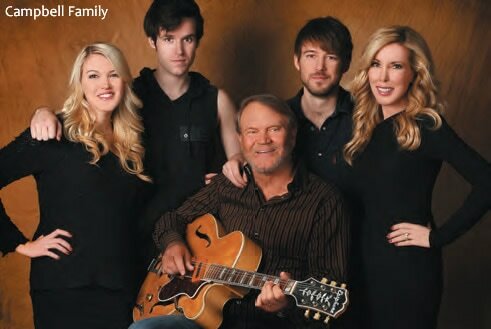 After enjoying a long and successful history, Glen Campbell is bowing out the way he did everything in his career—with style and grace. "Rhinestone Cowboy" was Campbell's largest-selling single, initially with over 2 million copies sold. Campbell had heard songwriter Larry Weiss' version while on tour of Australia in 1974. It was also the inspiration for the 1984 Dolly Parton/Sylvester Stallone movie Rhinestone.